As Paul Newman said in his movie, “The Verdict”, “Now is the time; there is no other time!” I have been fussing with and putting off this blog post all week. I sheepishly acknowledge that this has turned into a curmudgeon’s view. That was not planned or intended. Apologies to anyone I offended. I have learned, from publications from South Carolina, Utah, Michigan, and the ABA that “The Future of the Law” is becoming a “big deal” subject. But, I have also learned it can be made into a very boring subject! That’s funny, because I have been writing on this subject, with great interest and enthusiasm, from many different angles, for seven years. www.hunterlawfirm.net. I find it to be a consuming interest, but I have had little success in spreading the excitement. Perhaps these scholarly studies will have greater success. I have been building to what I call this “Age of Science Fiction” since before I could read, well over 60 years ago. I confess that I was sure we would have a colony on the moon, and in one or more great space stations, long before now, ala’ Clarke/Kubrick’s “Space Odyssey 2001”. America and the world have lost their way in that regard. But, the underlying technology is “evolving” swiftly, and “H.A.L.” may not be too far away. 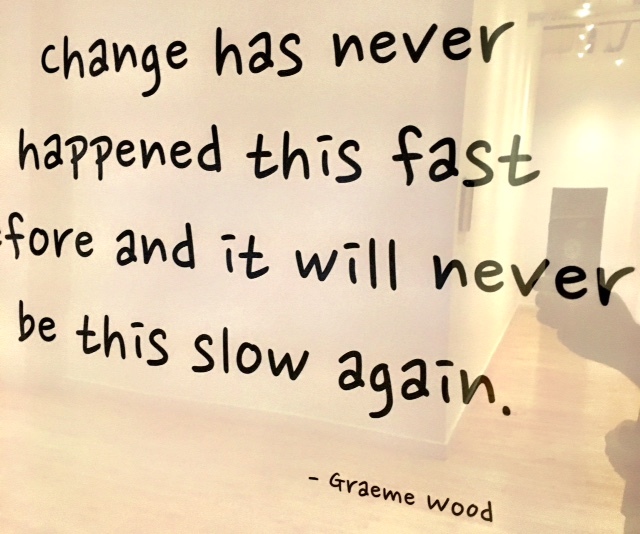 It may take a crisis, but if we haven’t delayed too long, it will be a massive creative burst. I hope to see it. in the 1950’s, I heard space heroes on the radio, Tom Corbett, Flash Gordon, H.G. Wells’ “War of the World’s” and many others, in spaceships flying between planets and encountering something called “asteroid belts”! In my mind’s eye, these belts had buckles. And “Little Sparky”, Big John’s friend, was a real little boy not a marionette! That belief was dashed at a live show at the Capital Theater in Wheeling, WV. I have been a skeptic ever since I figured out Santa Claus in 1951/2. hosts Sam Glover and Aaron Streets in conjunction with Matt Homann of the “Filament” conf center..
Matt was a friendly and engaging host, as was his friendly and helpful staff. They made my wife, Nancy, the only “spouse” appearing, feel comfortable and at home. 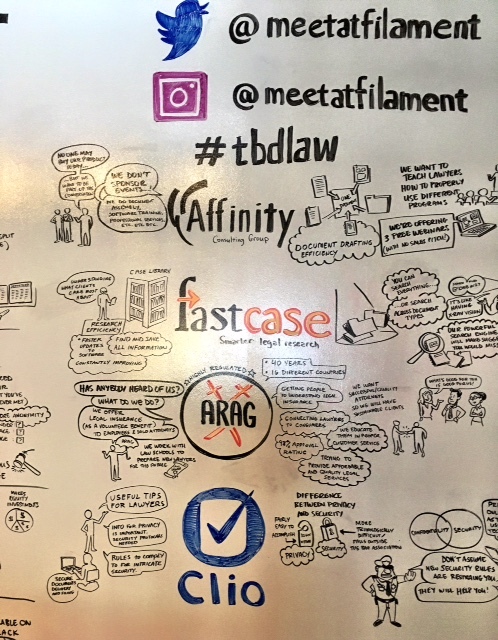 Sponsors of TDBLaw were four cutting edge companies, Affinity Consulting, “Fastcase”, ARAG, and Clio. More about them later. Besides being a science fiction and reading “junkie” (lots of history, science, biography, philosophy and, more recently, religion), during my time in law school I became a “futurist”, and wrote an essay that began, “Some day mankind will fly to the stars.” That of course is problematical and not likely for centuries, but I enjoyed reading that essay just a year or two ago. I cannot count how many “futurist” type books I have read since then, including “What Technology Wants” by Kevin Kelly, “Five Regions of the Future” by Joel A. Barker, “Long for this World: The Strange Science of Immortality”, by Jonathan Weiner; “The Singularity is Near” by Ray Kurzwell, and a boring and soulless tome titled, “The End of Lawyers? Rethinking the Nature of Legal Services” by Richard Suskind. Above all, I recommended Oliver Wendell Holmes, Jr’s great essay, “Natural Law”, which opened my eyes to the world around me and gave me my foundational beliefs in my own “can’t helps”. There were no responses, so I took it down, and none were “recommended reading” at the conference. I feared that what I had to say at the TDBLaw Conference would not resonate with my peers. I was correct. And, of course, having been admitted to practice in 1972, most of my peers were my children’s ages. As advertised, TDBLaw did not have “speakers”; well, a few during the last morning, but even they were reporting a collaboration of many ideas. The folks at the seminar seemed very little interested in my passion, “document assembly”. When I suggested a free, fully functional, 90 day download of a terrific application, “Pathagoras” document assembly, www.pathagoras.com , no one wrote it down. Barron Henley of Affinity is a master of “HotDocs”, a document assembly application published by Lexus/Nexus, but I haven’t been able to make that product work for me. Barron has a remarkable six hour course on bringing out the best in Microsoft Word that every lawyer and paralegal and secretary should take. Ray and Barron, together, offer the small firm lawyer tremendous tools and potential power in the use and production of words, using Word. What works for me with Pathagoras is the great service provided by its inventor and owner, Roy Lazris, and the fact it is integrated to Word and not “proprietary”. Even HotDocs seemed to get little attention from the folks at TDBLaw, and I didn’t get even one new template for my form library. Lots of talk of “bots”, “AI”, “coding”, ands “hacks”, but very little about hardware or software that a small WV firm could readily utilize. 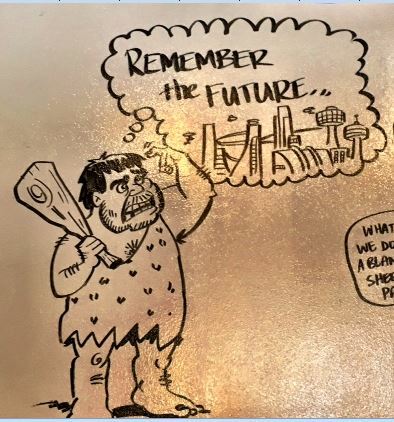 When I tried to convey my passion for the subject of “the future of the law” and the need for each of us to write substantively on the things we know and to share it for free, one young “Turk” said, “Oh, so you’ve got a blog. We all do.” and, at least metaphorically, rolled his eyes at the foolish old man. Do they, all? Really? 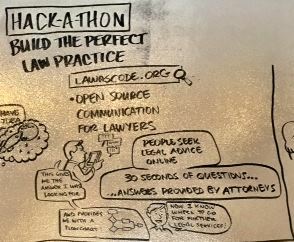 I was surprised that the group seemed little interested in marketing and social media, even though I feel it is a great way to “spread the word” for innovative lawyers. 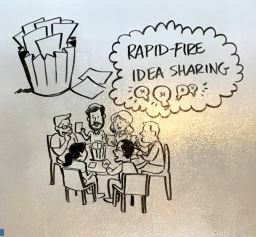 My “on the cheap” ideas, such as “www.Yext.com” didn’t motivate even one person in our discussion group to write it down. I have summarized my ideas for using affordable technology, combined with established low tech procedures and social media for marketing, in three posts uploaded to my blog on Sept. 24, 2015. These posts were my CLE presentations at the WVU College of Law the first week in October, just a year ago: http://hunterlawfirm.net/suggestions-for-operating-and-marketing-a-small-firm-efficiently-and-on-a-budget/ . Finally, on the subject of legal systems for every endeavor, I mentioned “The Checklist Manifesto” by Atul Gawande, and yet another “techy, in the know” lawyer in my group rolled his eyes, as if to say “Checklists are so passé’. Folks, these books weren’t written in the 80’s. Checklists are at the heart of modern surgical medicine and commercial air travel. Building them into intelligent computer systems is an obvious need, at least to me. To tell you the truth, I think it was “the messenger” and not “the message”. Checklist MUST be built into every “AI” system. Or perhaps these subjects are simply not “on the radar” for the classy group invited to this conference. So, thereafter I shut up. I skipped the four hour Monday evening “hackathon” and took my wife out for her birthday dinner. I STRONGLY recommend a “five star” (reviews) restaurant on Washington Street, St. Louis, Mango, http://www.mangoperu.com/ . A 68 year old, dynamic, big ego, civil litigator, who loves to use the technology of e-discovery, who loves to have the jury in the box and the great puzzle spread out around him. He intends to practice until he drops, loves what he does, and predicted at our “what’s next” discussion of the future of lawyers that the practice of law as we know it will be over in ten years. 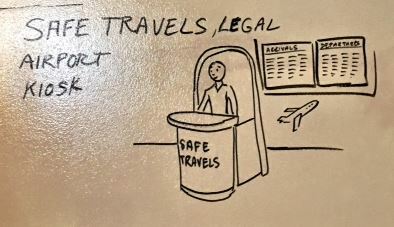 A 60 year old Michigan appellate lawyer, adjunct professor at a Fla. law school, teaching solo and small firm and “virtual” practice, who has fended off the “unlawful practice committee” of the Fla. State Bar and practices in Michigan while residing in Fla., and he rarely steps foot into his home state. He and I had some remarkable parallels in our lives, including some early grade struggles, until we got top grades in “jurisprudence”, the philosophy of the law. A bright, young, attractive female estate planning and “end of life” attorney, and her law partner. She reminded me of my own granddaughter, and they both radiated enthusiasm for what they do and devotion to clients. A slick, sharp, ambitious, young, Utah, personal injury trial lawyer, who fully intends to be the dominant PI firm in the state using state of art technology. He clearly understands the importance of branding and a clear presence on the Internet. The CEO of Fastcase who radiated brains and intensity, and actually seemed to know what I meant about “The Age of Enlightenment” and the co-inventor of calculus, with Sir Isaac Newton, Gottfried Wilhelm Leibniz, https://en.wikipedia.org/wiki/Gottfried_Wilhelm_Leibniz . Spinoza and Leibniz took opposite positions on the existence of a “prime mover”, as described in “The Courtier and the Heretic” by Matthew Stewart. Fastcase is headed to an intuitive feel for what we really want to know. Time for me to find a webinar, but today I found 300 cases, including the “top ten in WV” on the issue of partitioning of real estate in kind (in pieces); it comes free with our WV State Bar membership. Remember when our law library cost 600 per month and Westlaw was $300/mo. for a sole practitioner? That’s technology. A vivacious young woman who sells “ARAG”, “legal insurance”; not malpractice, but 11,000 lawyers on call to provide insurance services for subscribers. They, “Legal Zoom”, AVVO, and others will forge ahead providing online and other services, and lawyers will be crazy to ignore them. I also spoke to Clio’s representative. Clio is a cloud based practice management system. When any of those guys hear that I have a 40 year database with the earliest data coming from my Apple II’s and floppy drives, they sort of steer clear, but integrated practice management, docket calendaring, built in checklists and the like are going to be essential, for large and small firms alike. But, NOT MISSING DEADLINES, and following up with and responding to clients are at the core of any effective practice. I met another guy with an income tax practice, and a guy who says he will not use social media because he represents defendants in “white collar crime”, and athough, “They aren’t really dangerous, I wouldn’t want them knowing where I live”. Does he REALLY think they don’t know? Perhaps he needs to upgrade his home security system. I was once told by the county prosecutor that it is the busy divorce lawyers who should worry, and we’re the ones who need to master social media. Two intense, “hair on fire”, smart, techy, dedicated, public service lawyers who want to be able to quadruple the services they provide to the poor. A tall, geeky, serious, reserved, young lawyer who creates his practice by taking people to lunch and calling to follow up two weeks later. I wish I had more time to find out why he was at this particular meeting. A nationally known lawyer author who teaches “mindfulness” to the legal profession. A young, also nationally known, lawyer who is using “AI” provide online legal services supplemented by herself and her staff. Lots of great ideas, and practitioners of “future law”. Report to “Future of the Law Committee”, WV State Bar Board of Governors. “Your Legal Checkup and Review – $500” : http://hunterlawfirm.net/free-power-of-attorney-annual-legal-checkup/ . The most obvious component is mediation. I was surprised that “the learned study” of mediation referenced in Vol. 67 of the South Carolina Law Review has a sophomoric discussion of caucusing, something the family lawyers in our jurisdiction have mastered and utilize to great effect daily. My experience is that caucusing these parties (often parents) helps to defuse the emotion and allows a mediator to “translate” the views of the other side in well framed words. My former belief that the parties should hang in there “face to face” are long gone. The academic language and dry approach to the subject of family court mediation left me cold. In searching my blog, I find I have referenced mediation in 79 articles. The idea that experienced lawyer/mediators should not affirmatively make predictions and comments on risk/benefits, assuming the party consents, is ludicrous. A party’s subjective feeling that she/he was pressured into an agreement may simply mean the effective mediator and realistic counsel convinced a reluctant party to accept the best compromise and avoid a trial. That is my experience. When I wrote an article espousing the streamlining of mediation, implementation of mediation in virtually all cases, and conforming family court mediation rules with civil actions, the primary response was that it wouldn’t work. I think it will and will continue to espouse fewer impediments to creative mediation. Pro bono services (pro bono publico, “for the good of the public”), as a duty of our profession, was strongly in place when I returned to the civilian bar in 1976. It has not solved the problem of expanding services to the low income consumer. Our State Bar now has an online version, which is a good idea, but which has been too “un-user friendly”, at least for me. Talk about a site that needs “gamification (see below)” and rewards to the participants. While supporting the pro bono concept and “legal aid”, salaried Legal Aid lawyers and subsidized private attorneys, I have written from another point of view. That view is motivating solo and small firm, and other, lawyers to provide unbundled and low cost services. If 70% of family court participants have no counsel, what if private attorneys has a way to provide thousands of people valuable services at low cost?! It is unrealistic to believe we can meet the needs of the poor, let alone the working poor, with free services from overburdened lawyers working in a high stress environment. In WV, there are so many lawyers dependent on the court appointed system, and the low rates associated therewith, that getting much pro bono work out of them is unlikely. Instead, I have suggested a new emphasis of broadening what mediators are allowed to do, such as prepare a simple complaint, ghost written for one of the parties, IF they have negotiated an amicable agreement. I also fell flat at TDBLaw with my anecdote of the prisoners who were dying in droves in ships headed to Australia from England. Ship captains got to keep any provisions left over! Only when they were paid for the living, healthy prisoners that they delivers was the problem solved. Likewise, appealing to lawyers’ “better selves” will be less effective than appealing to “enlightened self-interest. A person can be motivated to do well for others AND for themselves and their families. As I say above, have a $500 package for “people who cannot or will not hire a lawyer for their divorce” and another for a “legal checkup” that provides, at the very least, a review of their insurance coverages, whether they need referral for an estate plan, simple wills, durable power of attorney, medical power of attorney, and review of other potential legal issues such as disputes with neighbors, consumer complaints, or problems related to aging parents. “Legal aid and “legal services” for the poor.” This is another longstanding entity, facing very, very tough times with lawyers’ IOLTA trust accounts drawing little or no interest. And, again my personal opinion, purporting to provide services that really require an attorney, cuts out the private bar from services they might be able to provide if the rules were so written. “Immigrant access to justice”, while important, is outside the realm of my WV experience. “Online dispute resolution”, “ODR”, has great potential. E-bay has been handling such things for years. Civil and family mediation still seem to me to need a good human mediator, but I see great potential for a good mediator to find software that would let her/him provide human assisted ADR while AI development moves forward on mediation in all types of areas, especially small claims and consumer complaints. “Legal Start-ups”: We were told at TBDLaw, whether true or not I know not, that there are more start-up funds available for legal services than any other industry. We discussed ,”airport and shopping center kiosks” (I have heard divorce kiosks exist “out west”). I remain of the belief that no matter how great the forms or fun the interface, you cannot turn a non-lawyer litigant into a lawyer. They lack the verbal skills and leverage to protect themselves or their children. ” Legal incubators” where small firms and sole practitioners share receptionists, equipment, common space, child care, and pet services. These ideas sounded great to me! No doubt it is different now, but law school, for me, never taught us how to operate the business of practicing law. 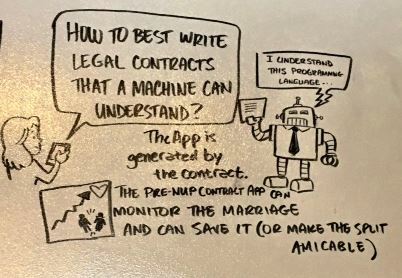 “Gamification of legal services,” seemed pretty much like finding government and other services on line, with lively interface, rewards, graphics, and interaction that motivated people to persevere until they get good results. This is our modern reality, whether finding medical insurance, Social Security service, banking services, or government websites. “Global lawyer regulation”, again, is “beyond my pay grade”. “Unbundling” makes the best sense that it ever has! We need deep discussion of what a lawyer can do. My $500 preparation package for the person who cannot afford a lawyer give a person MUCH more than a Legal Aid class can. I ghost write documents, give guidance, use “document assembly” and, more often than not, for a few dollars more, get hired to accompany the person into court. Once the client learns what is really involved, they are afraid to go it alone. That’s a good thing, and I never urge them to hire me if it is a “done deal” which is rare. If we have to take clients a small step at a time, dropping out when the client runs out of money, how is that better in forcing lawyers to have to file formal motions to withdraw, attend an expensive hearing, begging to be released, and sometimes being “joined at a hip” with a client they no longer wish to represent, than not having a lawyer at all? I say the vast majority would be better if helped in putting together their financial documentation, preparing their proposed parenting plan, or preparing for mediation or trial. I say train lawyers to “unbundle” in an ethical way. “Law School Incubators”, mentioned above. I have lots of ideas here. One TDB’er had a great idea of law schools’ forming co-ops for its young graduated lawyers who want to “hang out a shingle”. I foresee opposition from the local bar to this one, but it is a subject to explore. The WV State Bar Board of Governors’ “Future of the Law Committee”. I do not expect to chair this committee beyond this year. I differ too much from “the powers that be” who are intensely well-meaning, but I believe our WV Supreme court and our State Bar are too distant from my “real world” or “the trenches” to accept or even understand what I propose. No doubt the committee needs someone more “open minded” than I because I have formed strong opinions on almost all these subjects. I hope, at the very least, that I have made an impact on convincing someone that this is a terribly important subject. And, I hope the next chairperson will be more tactful than I but not be timid or tech ignorant, or who believes, “But that’s the way we always have done it.”, and who has a thicker skin than I do. Along the same vein, I do I not expect to be invited back to TDBLaw. The “techy lawyers” are unlikely to have come from the world I have, where deep and wide reading on all subjects is the norm. And, I lack programming and other skills, and, with the “big 7 0” birthday behind me, never going to get them. I hope I have contributed to the dialogue, surveyed the subject, provided ideas for debate, and positioned myself to move back into my “curmudgeonly role”, of commenting from a near distance on the world around me. I will disengage from actual participation via seminars and professional meetings. When I read through the book I realised it really wasn’t serving its purpose anymore … I don’t think the tone or the message has changed. The messages are the same – that if we want to improve access to justice in our society then technology provides a great route. I think our law schools are still out of step. I think if you are a conventional lawyer and you’re not prepared to adapt to the [2020’s] you’ll struggle to survive, but if you are entrepreneurial and enthusiastic, forward looking, open minded, then there’s probably never been a more exciting time to be in the law.